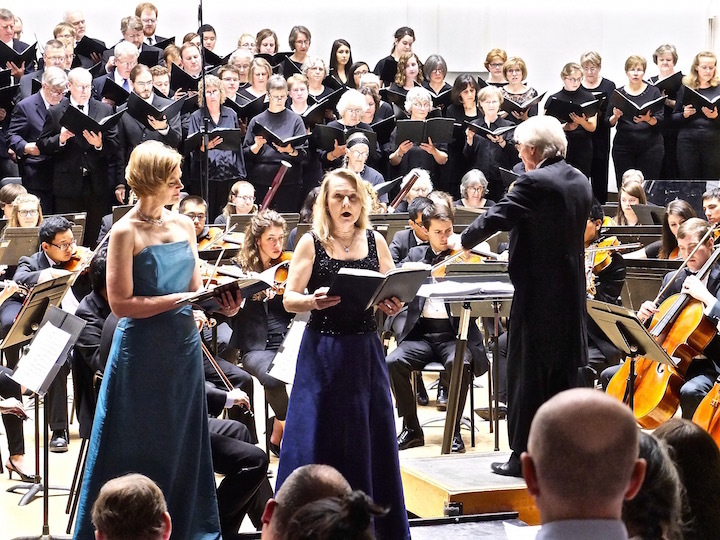 Classical music: The UW-Madison Choral Union and Symphony Orchestra plus soloists turn in a “glorious” performance of the rarely performed choral symphony “Hymn of Praise” by Felix Mendelssohn. 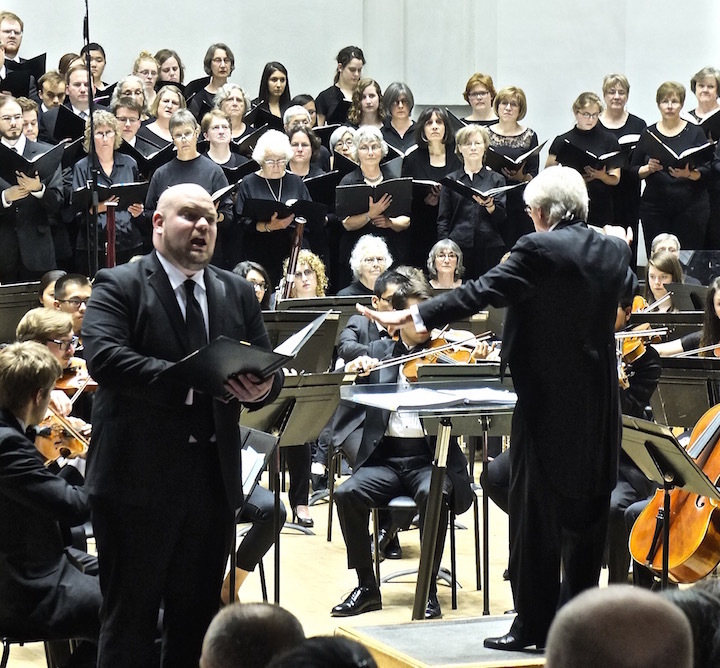 This weekend, the Madison Symphony Orchestra will bring us that giant among symphonies, Beethoven’s Ninth. We now take that work so for granted as a musical summit by itself that we lose sight of its enormous impact on composers of the rest of the 19th century. 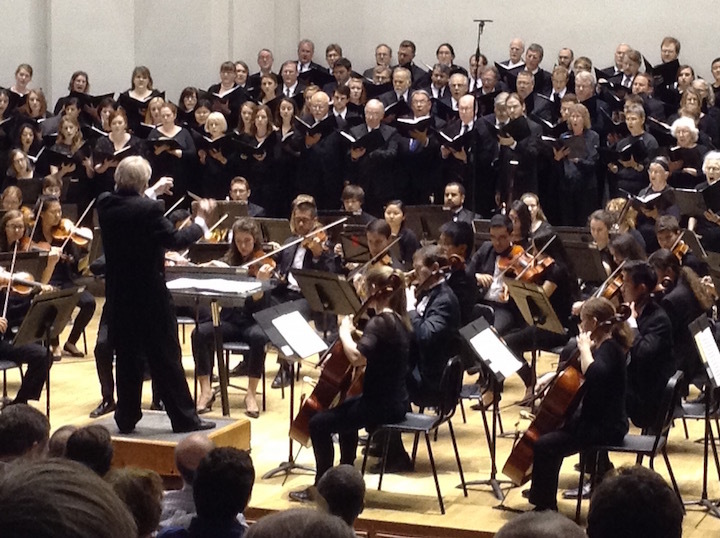 The introduction of solo and choral voices into an orchestral symphony score was radical, and inspired many responses. One was the efforts of Hector Berlioz to infuse the elements of opera into a symphonically structured work, resulting in that masterpiece, his “dramatic symphony” Romeo et Juliette. Richard Wagner, by contrast, built an entire career of casting operas in symphonic terms. The culmination of the “choral symphony” came with three of the symphonies by Gustav Mahler (Nos. 2, 3 and 8). 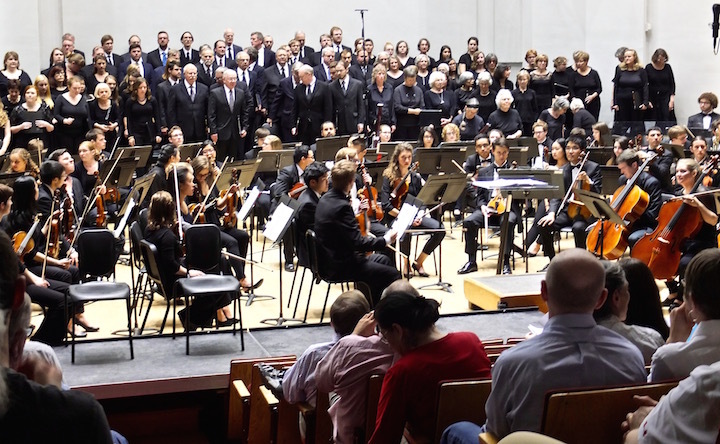 But an earlier response was brought to us last Saturday night by the UW-Madison Choral Union and Symphony Orchestra (below). This was Felix Mendelssohn’s Symphony No. 2, known as the Lobgesang or “Hymn of Praise.” It was composed in 1840, a mere 16 years after Beethoven’s Ninth was premiered. 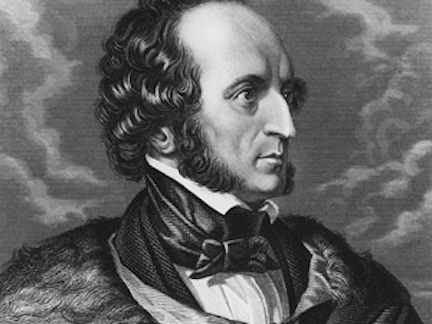 Mendelssohn (below) did not simplistically imitate the prototype, but adapted its idea to his own purposes. In place of three elaborate and individual movements, the work’s No. 1, called “sinfonia,” is a set of three successive orchestral sections that flow with limited breaks one after the other, for a total of 15-20 minutes. Then follows a series of nine numbers constituting a cantata for soloists and chorus, running close to 60 minutes. It sets either Scriptural or devotional texts pertaining to faith in and celebration of the Almighty, with thematic references made to material in the preliminary “sinfonia.” This “choral finale” alone is in the line of sacred choral works, many on Psalm texts, that the composer wrote recurrently. This was the sole work on this Choral Union program. 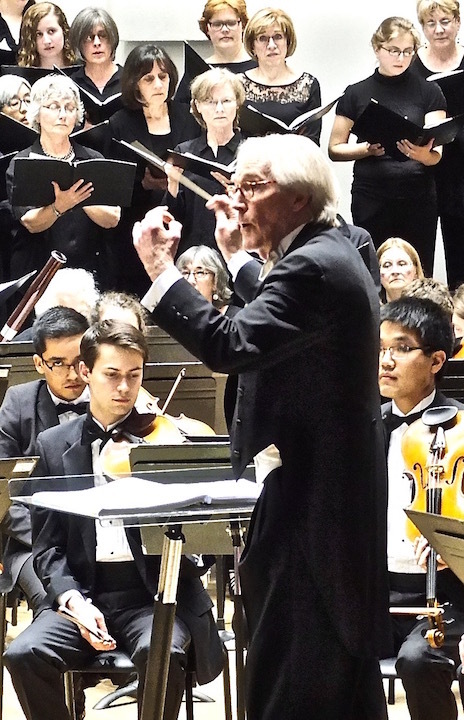 With the absence of regular conductor Beverly Taylor, who is on sabbatical this semester, the podium was assumed by the splendid James Smith (below), who seemed altogether comfortable drawing magnificent sounds from the large chorus, while working his usual wonders with his student orchestra. There are parts for three soloists. The main soprano was Elizabeth Hagedorn (below top, left), whose wide vibrato and squally high range represented for me the one disappointment of this performance. The reliable Mimmi Fulmer (below top, center) was drawn in only for a two-soprano duet: I wish she had been given the top assignment. Thomas Leighton (below bottom) is not the most lyrical of tenors, but he conveyed honestly the spiritual searching of his solos. Here, then, was the Choral Union at its best. It offered stirring choral singing, while giving us an opportunity to experience an unfairly neglected but wonderful score.